Are you looking for the best Business Analyst Course in Chennai?. Look no further, Spark offers Business Analyst Course in Chennai. Our business analyst course in Chennai is handled by experienced business analysts who has decade years of experience in the BA domain. Spark offers one of the best business analyst training in chennai. Our business analyst course in chennai not only helps get you business analyst job in chennai but also pave way for BA certification in the future. We are one of the very few business analyst training centers in Chennai to offer business analyst online training. Since we are not providing business analyst certification in Chennai, our training module is on par with other business analyst certification courses in Chennai which area offered. Although, we are not providing business analyst training and placement in Chennai but our BA course in chennai helps our students get interview calls for business analyst openings. We are one of the few business analyst training institutes in Chennai to offer a very competitive business analyst course fee in Chennai. As far as the business analyst certification courses, there is no stringent requirement to do theh BA training. Any student with interest in business and analysis can opt for this business analyst training, hence there is no business analyst qualification. These business analyst courses will help our participants gain edge in Business requirement documents, functional requirement document, ability to do requirement traceability matrix etc. Our course will help our participants gain edge in IT business analyst. By doing this program, our participants can tap a large BA opportunities market in start up companies, mid sized companies etc. The business analyst Course in Chennai is conducted by experienced industry professionals with hands on experience in business analyst role in domains like Banking, Insurance, Manufacturing, Automotive and IT. Spark’s business analyst training in Chennai covers all aspects of business analysis. Students will receive hands on project exposure. Our business analyst course in Chennai is job oriented. Why Should You Do Business Analyst Course in Chennai? Career Path After Business Analyst Course in Chennai? With Business Analyst Course in Chennai, you will be able to identify and enhance the entire business process in your company through data modeling, requirements gathering and communication skills. Our business analyst training course in Chennai prepare candidates for this competitive world. Our team of experienced BA instructors ensures that you face no hassle while hunting for job. The perfect course for fresher’s who want to carve out a niche in this ever evolving IT industry. Spark is one of the leading business analyst training institutes in Chennai. BA course is the easiest way to be a part of the IT team without having technical knowledge. IT industry has grown rapidly in the last decade and reached new heights. Also, it is the only industry that seems to be unaffected by economic slowdown. As far as our students we have been good reviews by our old students as we are #1 in providing business analyst course in Chennai. Should I Become a Business Analyst? Business analysts, also know as management or business consultants, advise organizations on how to improve efficiency, finances, and various other aspects of business. They consult with management to plan and implement solutions or changes based on the needs of a company. The objective of our business analyst course in Chennai is to make participants understand the exact role of a business analyst and clear job interviews and related BA work related challenges. Few business analysts work for a single company; the majority are hired on a contract basis in order to evaluate an organization and submit their recommendations. Analysts may be self-employed or represent a business consulting firm. Travel is required to each client’s location and although schedules are usually full-time, longer hours are often required in order to meet deadlines. This job can be high-stress as meeting the demands of clients in the time-frame allowed is not always easy. Becoming a business analyst means launching a career of potential opportunity on the leading edge of innovation. Business analyst certification and training can provide a competitive advantage, along with the skills and knowledge you’ll need to land a business analyst job. In this role, you’ll leverage your IT, analytical and problem-solving skills to create real-world technical solutions that organizations increasingly need in a complex business environment. Being a business analyst is a great option for many people as it is generally a very stable position with solid benefits. A business analyst performs many tasks including analyzing a company looking for ways to increase effectiveness. To be an analyst you will want to consider extending your business education. 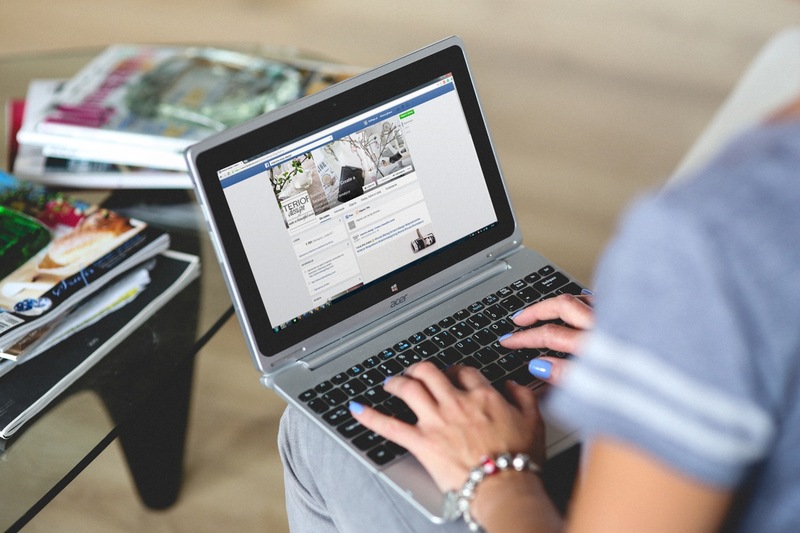 Making network contacts and enhancing your IT skill set is also useful. Working with all levels of a company is another critical aspect of life as a business analyst. Business analysts typically analyze business processes, organizational structure, goals and procedures to identify current and potential problems and determine information-based solutions. Often working as a bridge between management and IT, they develop strategies to improve efficiency, regain a competitive edge, increase productivity, reduce expenses or improve efficiency. Some work as independent consultants, while others are employed by private businesses or multi-national firms. As a business analyst, your career options are almost limitless. 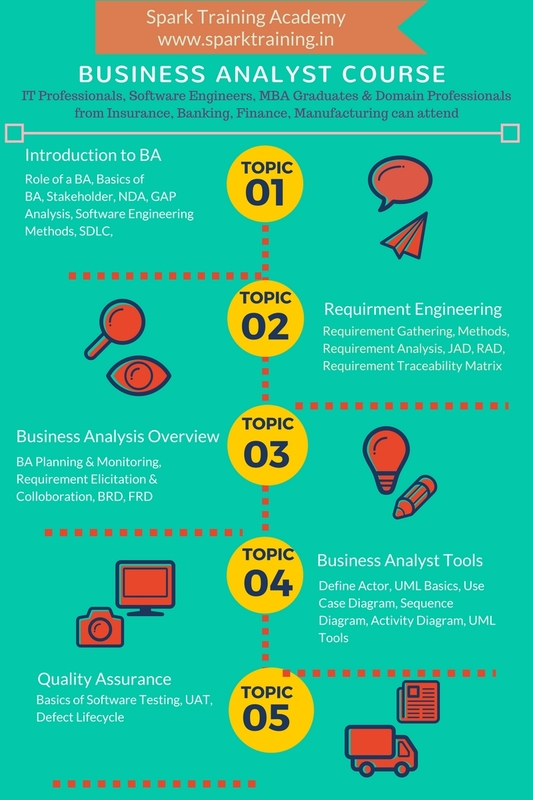 There are several typical paths to a business analyst career. To distinguish yourself and increase your chances of success, earning your business analyst certification is an important step. Business analysts tend to start out with strong business and IT skills. In addition, an understanding of a particular industry or vertical market can be an advantage. For example, professionals in human resources, telecommunications or manufacturing can take their knowledge of those industries and transition to a business analyst career by enrolling in a business analyst certificate program. Directly out of college – Once you’ve earned a bachelor’s degree in information systems, business, accounting, human resources, or any number of related fields, a good next step to secure an entry-level business analyst job is enrolling in a business analysis certificate program. You’ll be exposed to essential knowledge you can use to transition into a business analyst career. Software developer to business analyst – Many experienced and talented developers reach a point in their careers when they need a new challenge. Their communication, analysis and data mining skills can successfully transfer to the duties of a business analyst, and their in-depth knowledge of the software development lifecycle can be a big advantage, too. Add an industry-recognized business analysis certification to this skill set, and you’ll be on a path toward your new career. Industry professional to business analyst – Changing careers is a matter of course for most business professionals. When you’re ready to leverage the specialized industry knowledge you’ve acquired and take your career to the next level, you should consider enrolling in a professional business analysis certificate program to gain a well-rounded, up-to-date skill set that will impress prospective employers and help you stand out from the competition. Develops more artifacts and models than required. Solution: Analysis should be an iterative process as opposed to a long, drawn-out process of trying to clarify all requirements upfront. Personal organization skills like prioritization and time management come into play here. The BA should filter out unnecessary detail and present only the information that is necessary to produce a working solution. Business Analysts often have to work in the twin worlds of business and technology. These are 2 vast fields with multiple areas that the BA is expected to keep a tab on. Focusing on one aspect will be to the detriment of another. How does the BA with a technical background attain an acceptable level of competency in the business domain? How does the BA with a business background attain some level of competency in the technical domain? How does the BA keep up with expected changes when moving from a structured systems analysis & design environment to one based on object-oriented analysis and design? How does the BA manage the transition from a Waterfall to an Agile/Iterative methodology? There’s always a learning curve to contend with. Solution: BAs should continually strive from day one, to learn about the business, the industry and available technology. Certifications in specialist areas can also increase the BA’s knowledge and command of the domain area. It’s not an easy journey and there’s no one path to getting the knowledge and skills you need. The challenge is real but can be surmounted with time, training and experience. For hiring companies, finding the right BA can also be challenging. An employee should not be thrust into the BA role without the right tools or training. BAs should be provided with the opportunity to nurture their skills and a clearly defined career path they can aspire towards. As Scott Ambler stated in his article “Rethinking the Role of Business Analysts: Towards Agile Business Analysts”, BAs often have undue influence over project decisions. As BAs, our role in interfacing with business users to elicit requirements and sort through masses of information is critical to project success. How do we ensure that we do not become a barrier between IT and the business? How do we ensure that facts or requirements are not misinterpreted? How do we eliminate the bias that comes from pre-conceived notions? How do we avoid favouring certain requirements while playing down others? Solution: Ethics requires an understanding of what is right and wrong. All decisions made should be obvious to stakeholders and the reason for these decisions should be transparent. BAs should also ensure that stakeholders are treated fairly. Fair treatment implies that stakeholders are not deceived in any way about the outcome of decisions. The following are a series of sequential phases that should occur to complete a problem solving exercise, which would result in a solution to the problem statement. The phases can be viewed as a waterfall. If however a phase cannot be completed, it means that a previous stage is incomplete and requires further exploring. Hence each phase has an optional feedback loop. The problem itself should be understood as something discrete, defined or quantifiable. It can be represented as question or a statement that describes something. Problems can also be ambiguous in that they are hard to understand or pin down as something concrete. Ambiguous problems require further exploration that can occur from proceeding to the next phase of defining the scope, and then returning to reevaluate the problem statement. The scope of the problem is extremely important and provides the platform to which all other considerations are included and excluded. A good analogy to scope is the expressions of ‘ring fencing’. Picture yourself actually laying a fence around an area to encapsulate something. The goal of building a fence is to keep something in, and to keep something out. Seems obvious but it’s worth thinking about this in terms of information and problem solving. All information that needs to be considered is within the fence line, and everything else is outside. This is important from a planning perspective since if one knows what information needs to be considered, one must review the information. Because the information is known one can actually plan and put constraints around this; who needs to be consulted, where the information is obtained from, what systems and resource needs to be drawn upon. Scope itself is a constraint. The output or solution to a problem is directly dependent on the information that went into the problem solving process. Information that is critical to formulating the correct solution is essential to being included in the scope. This can be demonstrated through a mathematical equation. Consider for a second that the problem is X, and X cannot be determined. What can be determined is that Y has the value of 5. Unfortunately, due to poor research Y is not considered, only X. This equation is them impossible to solve and a solution is not found. This may seem elementary but it highlights that without proper considering and scoping, one’s perspective may not be adequate to see the whole picture. Quite often in business some information is considered, but not everything due to time constraints and economic pressure guiding a shorter term perspective on the solution. Often when this is done the depth of analysis is limited resulting in shallow or knee jerk reactions and band aid solutions that do not address the underlying cause. In this sense scoping can be strategic since it takes into account the broader perspective including a broader more considerate base of information that is often not focused on the short term. Resolving ambiguity is very import. When there is confusion or uncertainty statements made become imprecise approximations that fuel a culture of anxiety. People need to have the right knowledge at the right time to solve problems by making sound decisions. It’s important to note that nothing sure footed can really be achieved when there is confusion. Resolving ambiguity or confusion is present in the following situations. Note that the following does not include any human communication dynamics. How do you know if you’re missing information? Sometimes this is obvious based on the existing information. (You can see the outline of the footprint.). Other times there is no footprint, all your have is your current information, which is the best starting point for further information and traceability. Traceability is the art of defining concepts and their associated connection points. Consider a dot to dot drawing or a mind map; what presents is an interconnected network. This network can be used to explore its boundaries, both its breath of scope and level of scope. This two way exploration can always start with the existing information, considering other related concepts and relationships. For example, if the word ‘Interface’ was on a mind map, I could also draw other branches with connections that say ‘client’, ‘server’, ‘api’, ‘web service’, ‘xml’, ‘meta-data’, ‘contract’, ‘data flow’ etc. The root of this exploration is the word ‘interface’. Traceability can be explored within a mind map, or in any other conceptual model where you are connecting information, to other information through some kind of relationships. Since the entire scope has now been defined, the process of identifying the problem symptoms and problem causes can begin. The symptoms are obvious effects, outcomes, metrics, sales figures, costs, performance measures; negative qualitative or quantitative measurements. Asking the question why is the basis for root cause analysis. It considers the result of questions and then traces backwards to underlying causes. If we ask the question why, the result is the answer and potentially the basis to another question. This is an iterative process that is continued until the underlying cause is uncovered. Note, that the underlying cause should also be within the bounds of the scope already defined. Being a growing industry, it has so many opportunities to offer.